Today will be our first long day of trekking and getting accustomed to exerting ourselves as the air we’re breathing becomes increasingly thin. Through this time, I expect the words “pole pole” – Swahili for “slow” or “go slowly” — will be heard often. Wise advice that I plan to heed. As I continue to research and read others’ blogs, I am increasingly surprised by the vast range of experiences on the trail. Although it is clearly advisable to be fit before pursuing the climb, there is no apparent correlation with being “in shape” and successful acclimatization. In fact, those who are the fittest are often the most challenged but the common thinking is that such individuals enthusiastically push themselves and don’t allow their bodies to adjust properly. Acclimatization is also dependent on each person’s physiology and yet a successful ascent at one time does not guarantee an inherent ability to acclimatize well on a subsequent ascent. 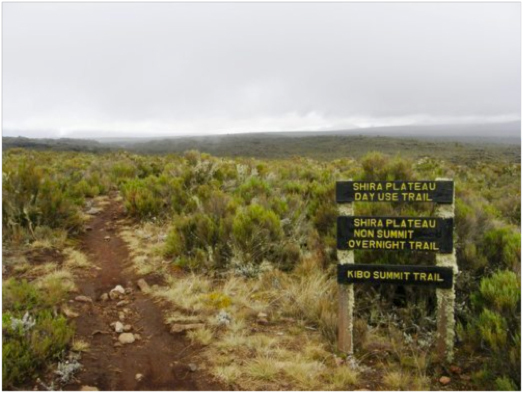 I did not expect to read, however, that one climber was struck with altitude sickness upon arrival at Shira Plateau. That night, the second night of his excursion, he suffered the full debilitating effects of altitude sickness including vomiting. This did not bode well for the rest of the climb and I will admit that I am reluctant to read further to see whether he was able to recover and ascent. Others, however, seem to have quickly fallen into the groove of the daily routine, appreciating the early morning greeting which is served with a piping hot mug of tea or coffee or perhaps cocoa, followed by a warm basin of water for a quick sponge bath. Breakfast, typically oatmeal, is served at a communal tent where “good mornings” are shared along with nervous chatter about the challenge ahead. The group is then given a few minutes to quickly repack items into designated duffle bags which are transported to the next camp by the highly efficient porters. Only the most essential items including two 1-litre water bottles are kept and carted in daypacks by each climber. Amazingly, the porters pack up camp and, not long afterward, skip along the trail to set up the next camp while the climbers make slow but steady progress. Lunch provides a welcome break before the last push. Toward the end of the day, there are welcome glimpses of tents in the distance and faint singing in Swahili encouraging the climbers onward. Thanks! 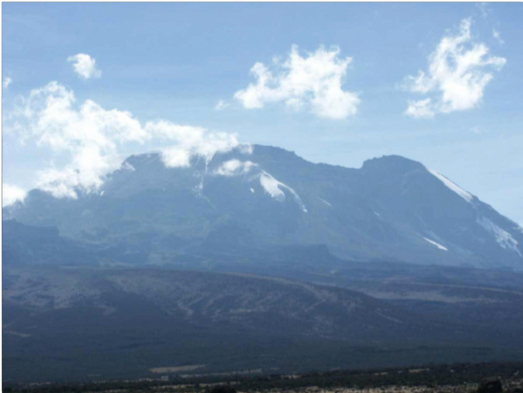 There’s more to come in the 12 days of Kili!